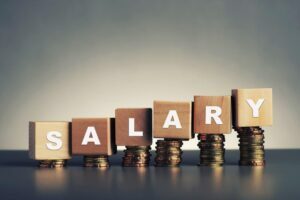 With the current law on pay statements set to change from April this year, we take a look at what employers need to be aware of and the key steps every business needs to put in place to get ahead of the April legislation changes. Where different parts of the net sum are paid in different ways, the amount and payment method of each part-payment. Pay Statements – Whats Changing? There are two significant changes which will apply to payment for work done in pay periods commencing after April 6th 2019. Firstly, all workers will have the right to itemised pay statements, not just employees. This will include any casual, temporary or intermittent staff to whom wages are paid but who are not treated as contracted employees. Secondly, where pay varies with the time worked, the statement must specify the number of hours being paid for and the rate of pay. If different types of work attract different rates of pay, the statement needs to show how many hours and what rate of pay is applied for each separate type. This does not extend to where a salaried worker is paid for overtime – the overtime needs to be broken down into the number of hours and the rate paid but not the salary. Failure to provide a pay statement or a compliant pay statement will enable a worker to refer the matter to an Employment Tribunal. The Department for Business, Energy and Industrial Strategy has produced further guidance about the changes. Unsure if your business will be compliant with the changes to pay statements? Contact our legally-qualified HR Consultants here at Wirehouse for no-nonsense, practical HR advice and support.